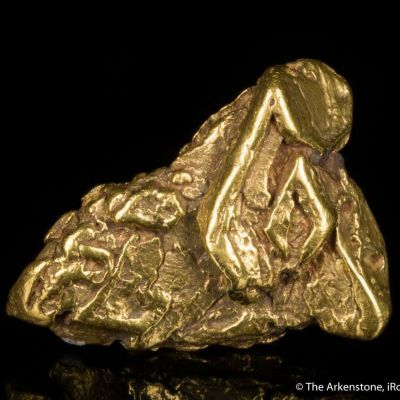 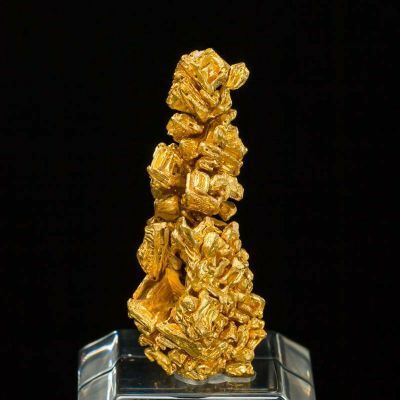 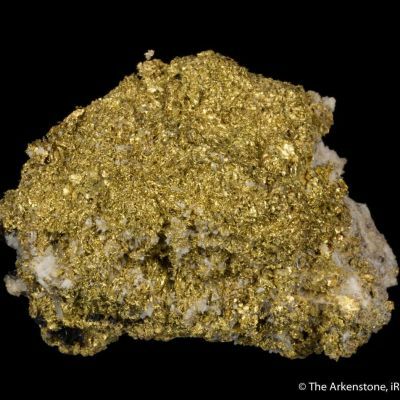 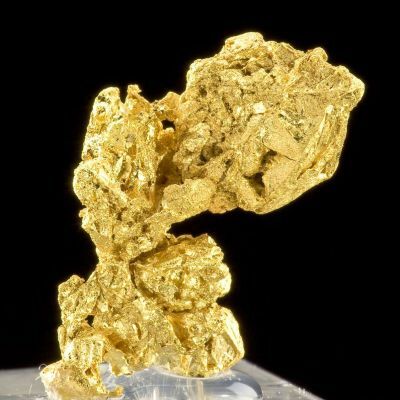 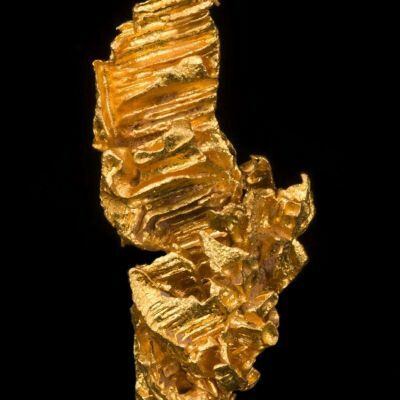 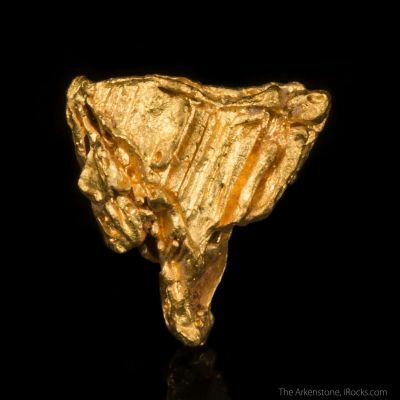 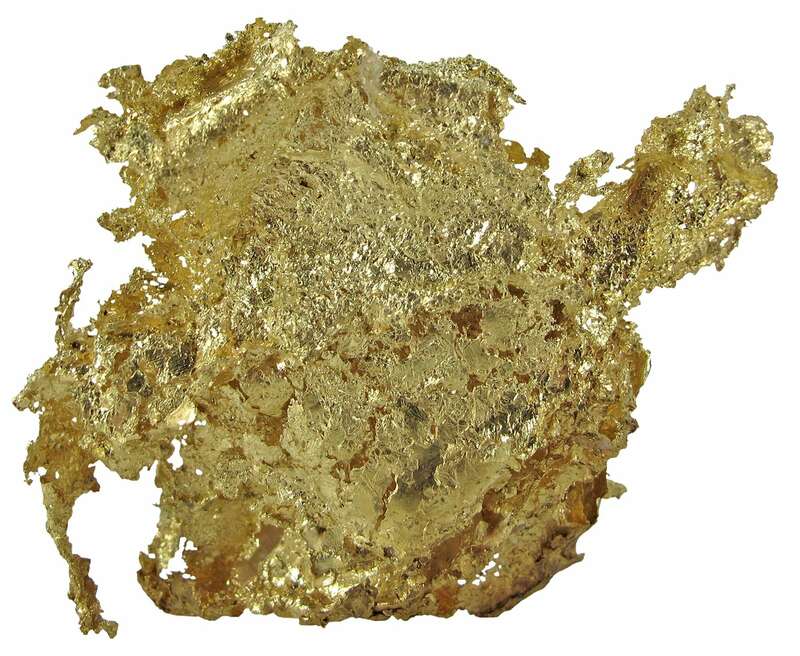 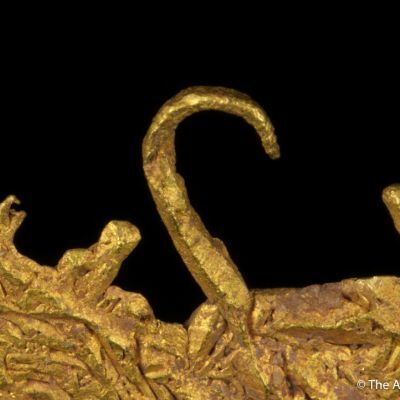 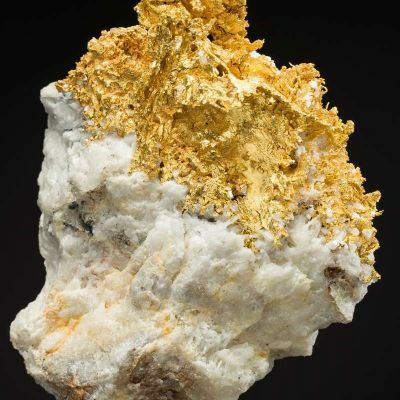 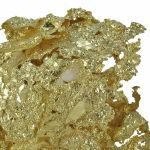 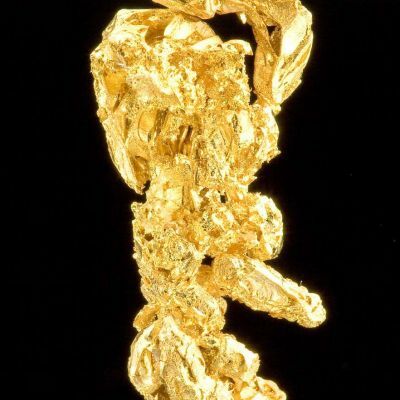 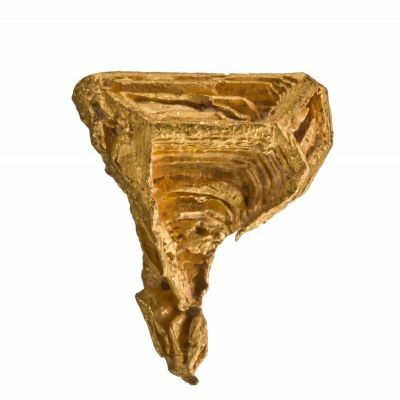 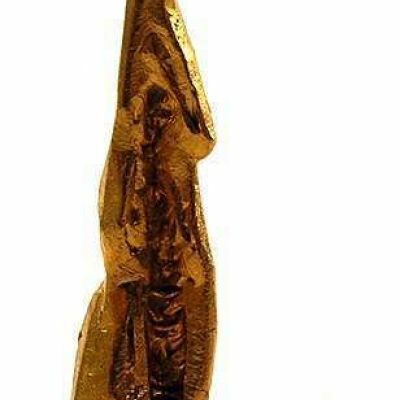 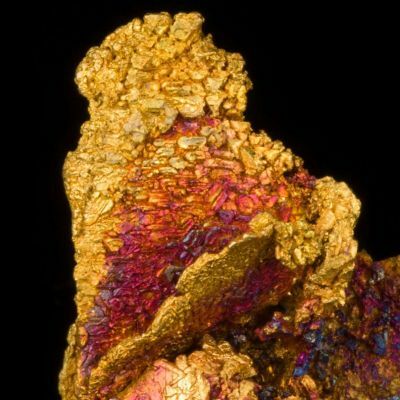 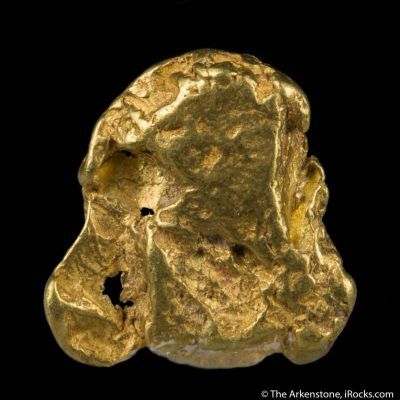 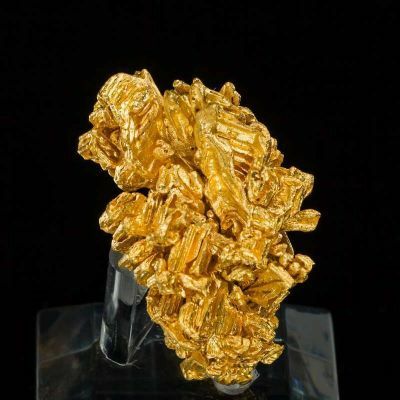 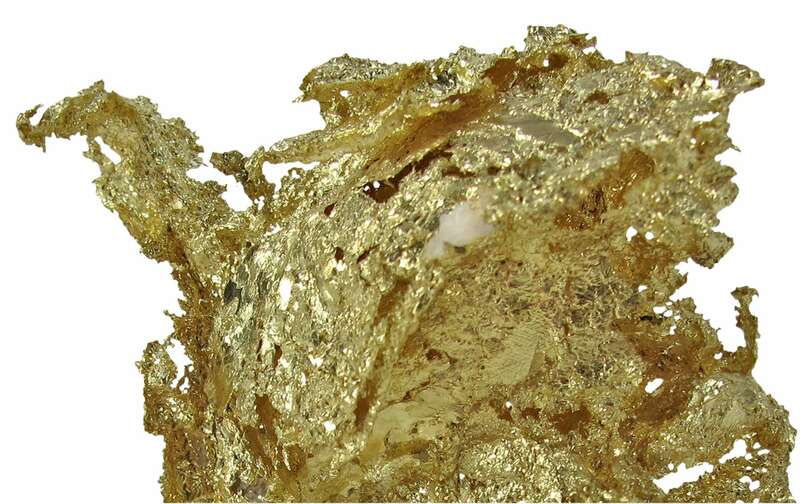 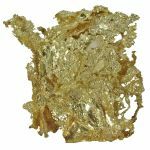 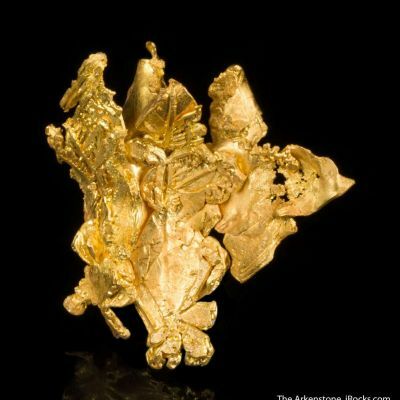 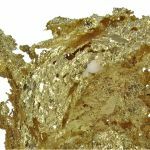 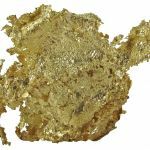 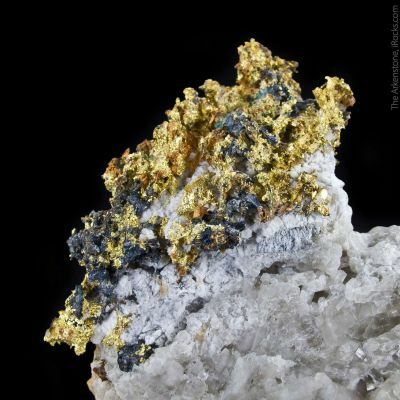 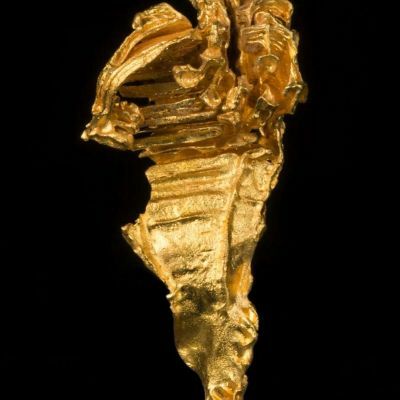 This 3-dimensional specimen is composed entirely of intergrown leaves of gold, an unusual form of gold crystallization. 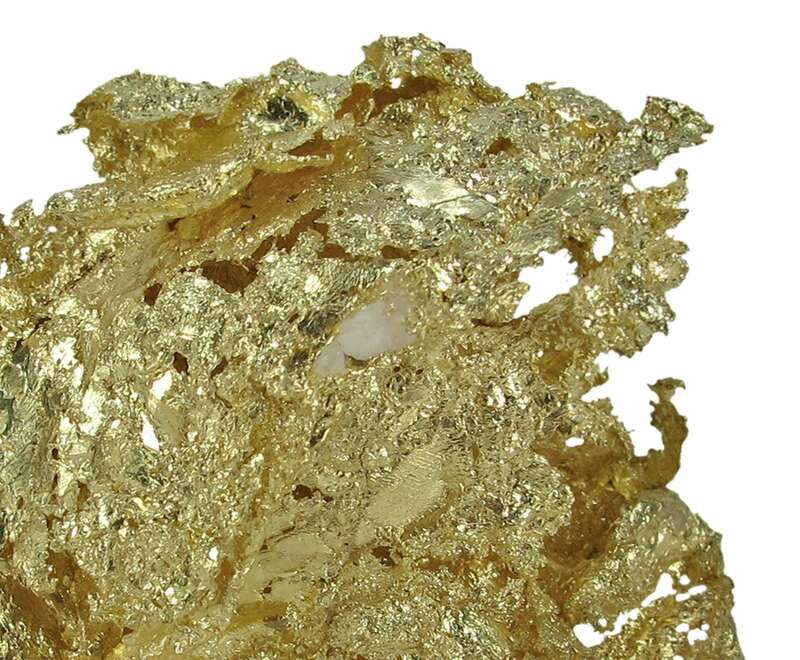 Leaf gold like this is naturally formed flat into a foil-like thickness, and the leaves are grown/melded together to form a surreal mass of gold. 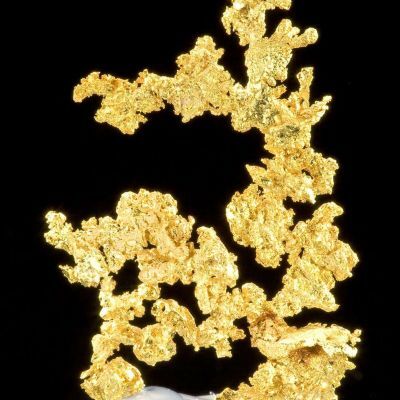 This is from a very rich, single find brought out at the Denver show in the late 1990s by dealer Rob Sielecki. 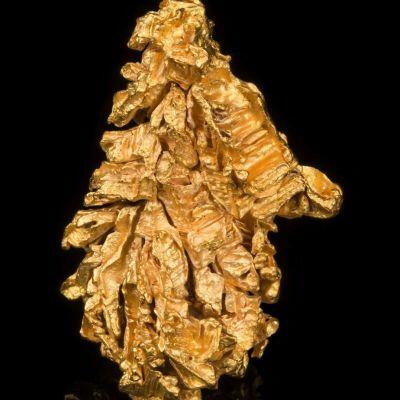 I have not seen such specimens for sale since. 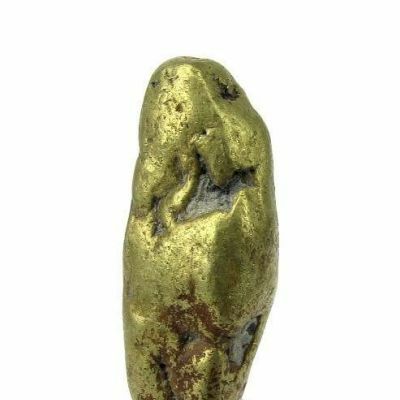 This piece has neglegible weight, because the gold leaves enclose airy hollows, but it has substantial apparent volume and display impact is rather impressive. 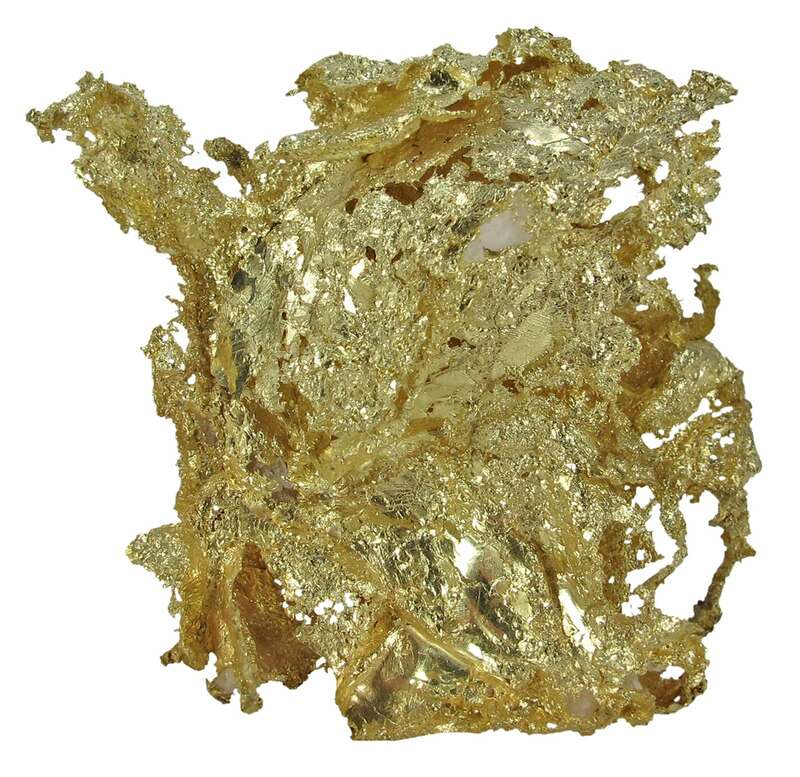 Leaf gold is among the brightest, for luster, as well.